One of the best ways to learn a piece of music is to first learn how to accompany it. The accompaniment is the foundation of the tune and so once you have this in place, it is much easier for you to hear and perceive the melody ‘sprouting’ from the accompaniment, rather than the accompaniment being secondary to the melody. When listening to music, we are drawn to the melody because it becomes the ‘surface’ of the music. But as a musician, and a player, you must understand the structure of the music from the inside out. The inside structure of the music is the accompaniment. 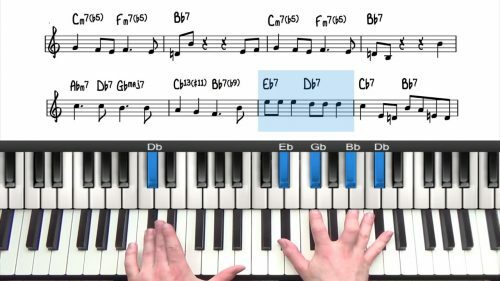 When you are playing just the accompaniment, it becomes easier for you to identify and outline the chromatically moving notes within the harmony. These internal voices give a rich flavour inside of the harmony and as an accompanist, it is your responsibility to accentuate these subtle features of the music. Whilst these notes are not apparent on the surface of the music, if you are able to incorporate that into your playing, you will start to get that Brazilian feel to your music. 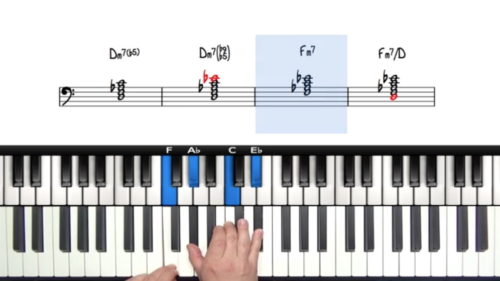 In this lesson, we will do a whole study of this tune which just outlines the chromatically moving notes within the harmony. 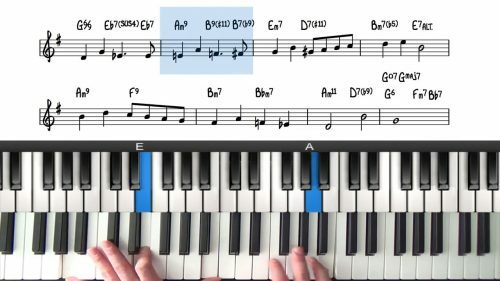 When learning a new song, first learn the accompaniment by just playing through the chord changes without the melody. If you like, you can hum or sing along whilst you play the accompaniment underneath. Identify the chromatically moving notes within the harmony, and outline these voices in your accompaniment. Practice adding these 'rich flavours' into your voicings and progression. Once you are identifying and including these inner voices, you will start to get that Brazilian feel to your music.